Undertray for the TLR22. 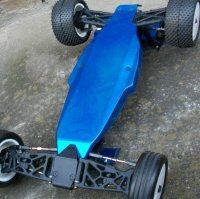 Fits snugly on the original chassis to work with any body shell. Attaches to the chassis either by reaming holes and using screws or by double sided taping it to the chassis.